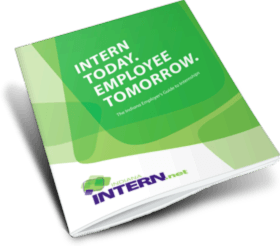 Indiana INTERNnet is a FREE internship-matching program managed by the Indiana Chamber of Commerce linking employers, students, high schools, colleges and universities. It is a dynamic, searchable database, matching and reporting system coupled with personal assistance—including a hotline to answer questions and provide internship guidance and resource materials. The goal is to help create or expand high-quality experiential opportunities within Indiana. Indiana INTERNnet was formed in 2001, shortly after a series of Indiana Chamber-led studies that demonstrated the state's "brain drain" issue. The Greater Indianapolis Chamber of Commerce initiated and operated the program in partnership with the University of Indianapolis. With continued funding from the Lilly Endowment, the organization was granted 501(c)3 tax exempt status in May 2004 and moved to the Indiana Chamber, the state's largest business advocacy organization. Why become involved in an internship program? An internship is a structured and supervised experiential learning opportunity that provides students with practical experience in their chosen fields. Internships illustrate classroom relevance in the professional world. Beneficial for both students and employers, internships offer career exploration and skills application for students and provide employers with workers who are creative, enthusiastic, able to assist with projects and open for mentorship. Transitioning interns into full-time hires is also a proven time and cost-saving recruiting method. Internships are valuable for learning institutions as well. An internship establishes a collaborative work environment between a school and community, resulting in enhanced curriculum and increased student retention. Overall, internships are mutually beneficial to employers, students and schools. Indiana INTERNnet connects students and employers with internship opportunities in Indiana through our database of more than 8,300 students, 7,800 employers and 1,100 available positions. Visit our Student, Employer and Educator pages to learn more about how we can assist you.